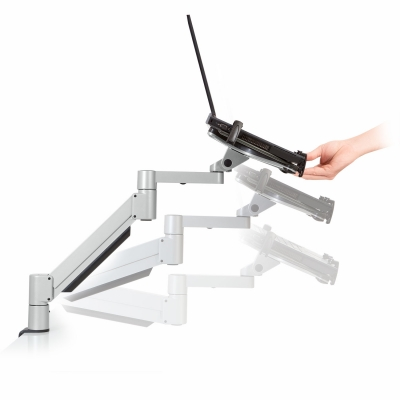 Easily mount your laptop with our 7000-T flexible laptop stand. The 7000-T combines our best-selling 7000 monitor arm with our award-winning laptop bracket, allowing you to create an instant height-adjustable docking station for your laptop! 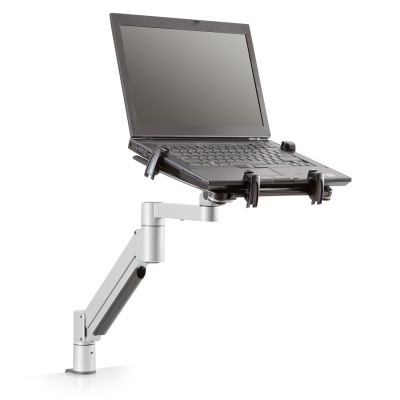 You’ll save valuable desk space and work in greater ergonomic comfort. 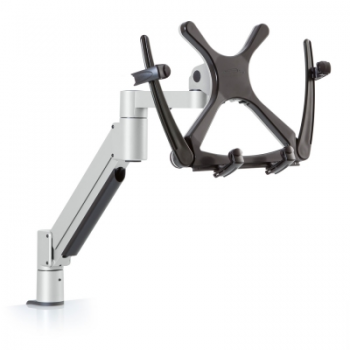 The 7000 articulating arm enables you to quickly reposition the laptop with just one hand. 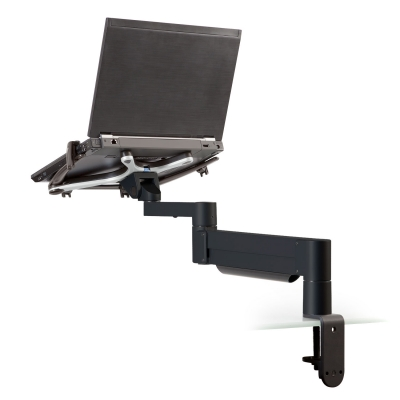 The 7000-T ergonomic laptop arm includes our FLEXmount with six mounting options, including desktop and grommet clamp, thru-desk bolt, and wall mounting. 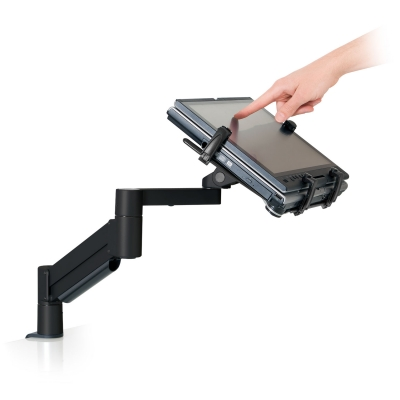 Adjustable laptop bracket accommodates laptops of most sizes. 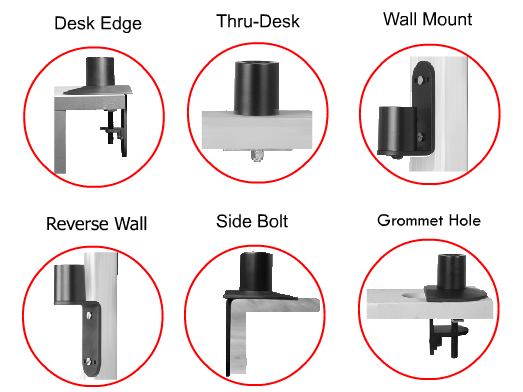 Includes FLEXmount with 6 mounting options.